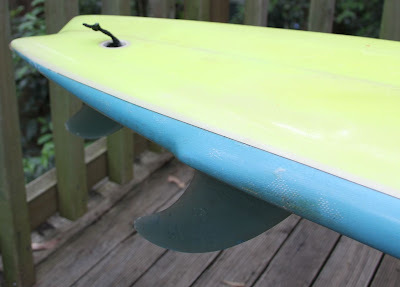 : Board Collector: Floridain big wave gun? 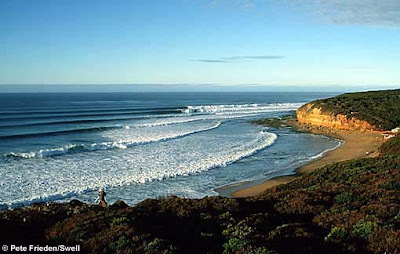 John Durward, also known as Juan Grande started Canyon Surfboards in 1974 in San Diego. 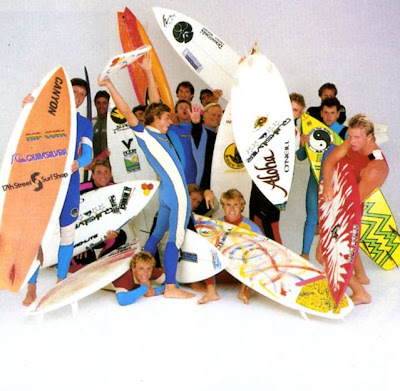 He hired a young shaper called Rusty Preisendorfer in 1977 who accrued a reputable stable of riders for Canyon during the 80's including David Barr, Wes Laine, Peter Townend, Shaun Tomson and Ian Cairns. As soon as I saw this board I thought it might be special. 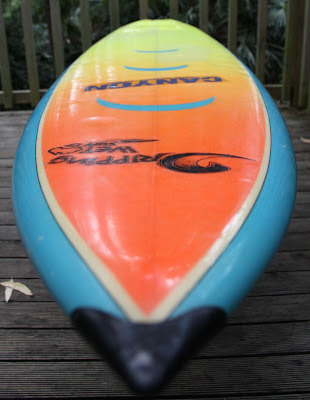 7'5" single fly, swallow tail, big wave board that turns out to have been hand shaped by the 'Rusty'. But how did this flouro weapon ever get to Australia? I thought perhaps it could have been made for the 6'4" tall Wes Laine to surf Bells, where he placed 2nd twice. 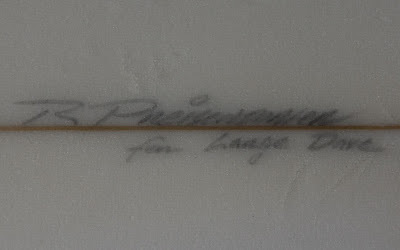 The board is certainly big, thick and professionally finished well enough to have been built for a special purpose. Rusty left no clues as to its greater purpose or the boards dimensions, except for the mysterious inscription 'for large dave'.